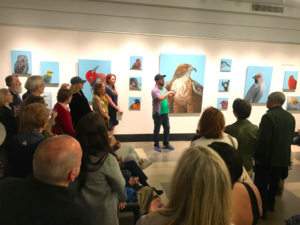 The Master Gallery’s opening night reception featuring Jacinta Stewart’s beautifully rendered portraits of North American birds was a dazzling affair. 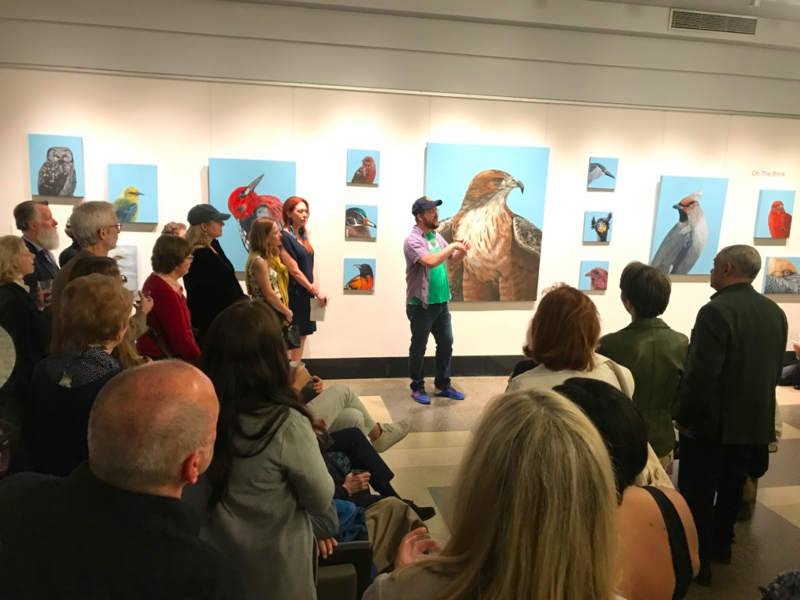 The event was well attended and the guests learned that the birds and the title of the show, On The Brink, referenced the birds’ unfortunate distinction of being on the Audubon Society’s list of climate-endangered or climate-threatened species. The show’s inspiration was crafted by curator Jan Fort, and Stewart after Stewart met Avi Gitler (Avi Gitler Gallery) and learned about his Audubon Mural Project. Gitler commissions artists in his Hamilton Heights neighborhood to do paintings and murals on buildings in honor of former resident John James Audubon. 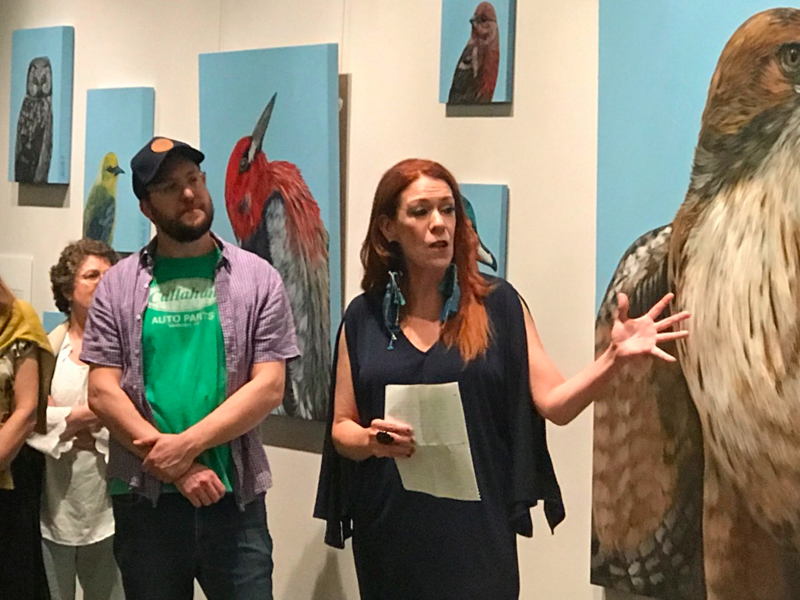 The overall intention is to bring awareness to the Audubon Society’s list of climate-threatened and climate-endangered birds. 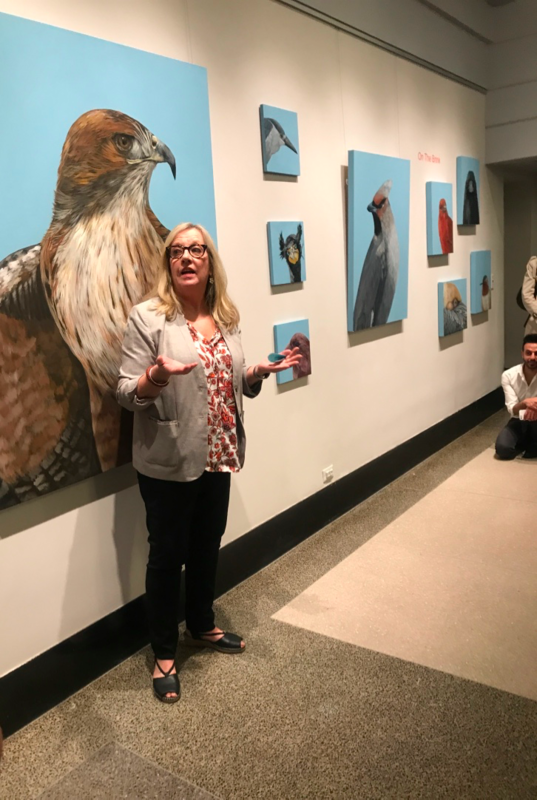 Stewart, a new resident to Hamilton Heights, met Gitler in his Gallery and learned that the beautiful murals she was noticing around the neighborhood was his brainchild and the birds became her muse. 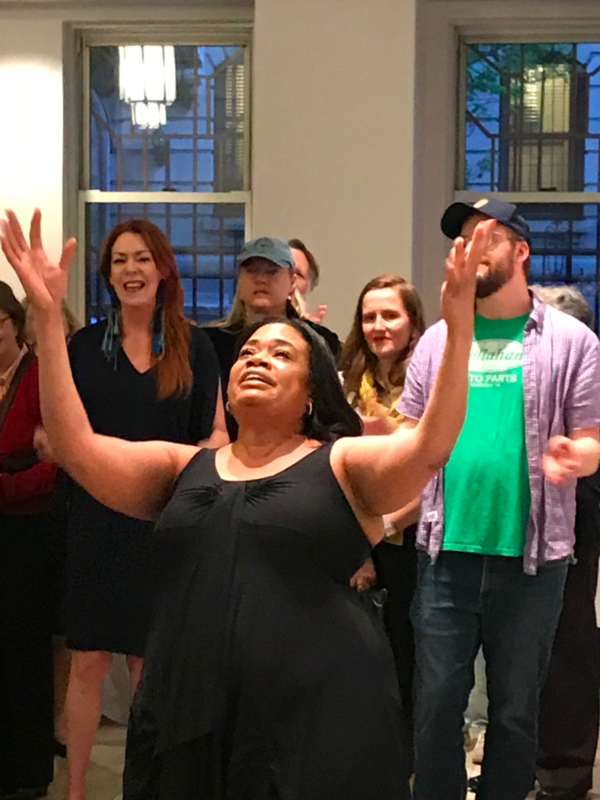 In the process of creating her show at the Master, Stewart was also accepted to paint a mural for the Audubon Mural Project and her artistry can be found at 149th Street and Broadway. Another highlight of the opening night festivities was a performance by jazz and funk vocalist, Angela Workman. 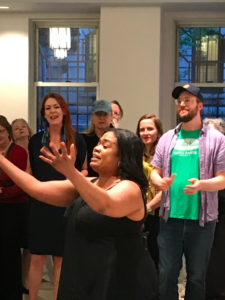 Workman sang a soulful rendition of I’ll Fly Away, bringing the evening to a soaring climax. The show will hang until July 28th. Be sure to take time to enjoy the “Bird Bio Book” that explains a little about each of the birds in the show. Check it out before it flies away.